This is a small geometric design that was developed to teach students several ways to use couching techniques on canvas. The booklet has a two-page introduction of the history of couching techniques in embroidery, and it discusses how these traditional concepts from other embroidery mediums can be adapted to canvas in attractive and innovative ways. NOTE. 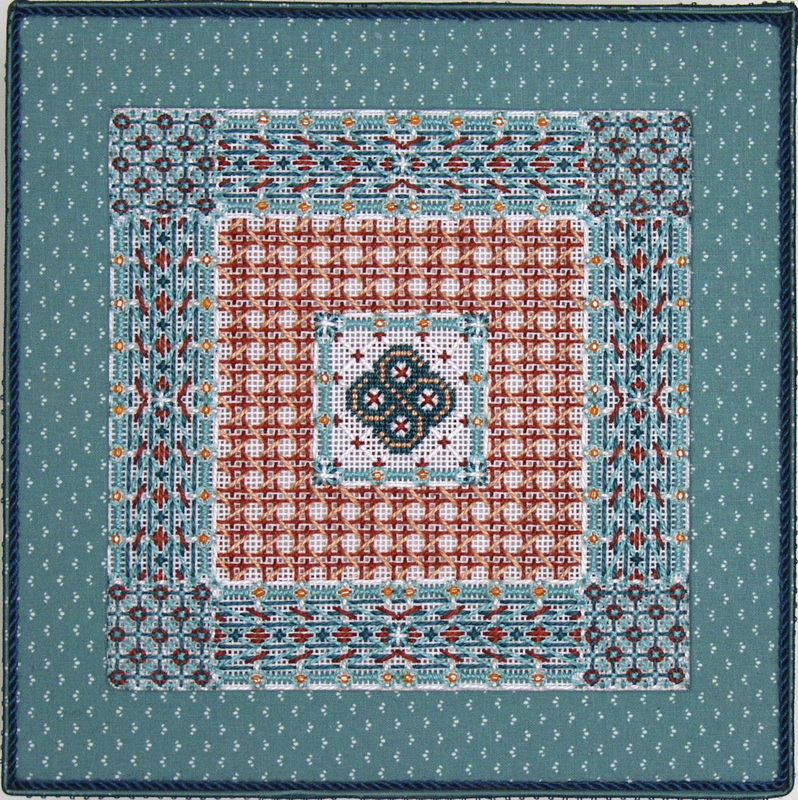 The model uses silver-lined Czechoslovakian beads that are not normally found in needlework shops, but effective substitutes can be used as long as the size fits either a #8 crewel or #28 tapestry needle.